With thanks to Mira Ink for the eBook galley copy of this novel! As always, my reviews are non-bias and fair. Are you more than the number on the back of your neck? If she says yes, Kitty will be Masked—surgically transformed into Lila Hart, the Prime Minister’s niece, who died under mysterious circumstances. As a member of the Hart family, she will be famous. She will be adored. And for the first time, she will matter. There’s only one catch. She must also stop the rebellion that Lila secretly fostered. The same one that got her killed…and one Kitty believes in. Faced with threats, conspiracies and a life that’s not her own, she must decide which path to choose—and learn how to become more than a pawn in a twisted game she’s only beginning to understand. I have been dying to get my hands on Pawn for quite some time. Dystopian novels are very rarely dull for me, and I get on with them like a house on fire. So I was super happy when I got a Galley from Mira Ink to read Pawn and all it's enthralling enticements! Pawn will always be a favourite of mine - the first book I read of 2014, too! Not to mention in just a few days I read it all (and insomnia-fueled nights...). It's so clear to me that my favourite thing about Pawn is it's unique telling of Dystopia at it's best. The futuristic United States was so believable and well-detailed that it truly seemed like that could actually exist. As with all Dystopian novels, there is something that makes that world different to our own present day one, and Aimée Carter's novel focuses more on the Society and Political aspects, where you're given a number from a test on your 17th birthday. 5 or over is really good, 2 and 3 are ordinary, and 1 is...well, one. Kitty, our narrator, get's offered a seven, which means that she would have to become a different person all together. She would be Masked. She would become Lila Hart, the Prime Minister's niece who died suspiciously. Kitty would have everything rich and famous, not to mention loved and above all, she would be at the top of Society and not looked down on by the higher ranks as a three. I was drawn into Pawn and couldn't take my eyes away. I've read many Dystopian novels over this past year (and the rest, ha ha) but this one was special. Not only did it make me envious that this wasn't my book, but it made me think about the plot and mystery even when I had put the book down and the last pages were read. That's what I call a five-star read. A game changer. Kitty was the lead character and of course I liked her best. She was smart, wise and headstrong, all the best things we like in our lead heroines. Even when she was Lila, she was still the Kitty we loved at heart. Seeing her personality stay the same was one of my favourite parts of the transformation between Kitty and Lila. How often can you actually get to walk in someone else's shoes? It's such an original plot. Aside from being newly rich and loved, Kitty still had a boyfriend; Benji. He was sweet and so loyal to her. Even when she had to let him go and leave him behind, they were reunited soon after and I was pleasantly surprised that the romance in the book was very subtle and didn't divide the Dystopian setting. Just a hint of romance. Though, Lila had a fiancé, which meant Kitty now had a fiancé. And his name was Knox. There was some unmissable chemistry between him and Kitty, that I wasn't sure would possibly develop into something else...but I'm hoping for Kitty and Benji, because they were the sweetest. I can't wait to see what happens with these characters and the rest when the series continues! Definitely one to watch. 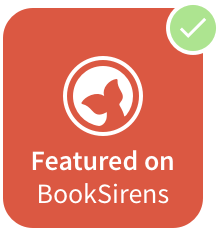 This is an unmissable, stunning dystopian novel with the unique and unpredictable aspects that everyone loves. In a league of it's own, truly. Recommendations: for anyone who loves YA Dystopia or Post-Apocalyptic novels will love this. 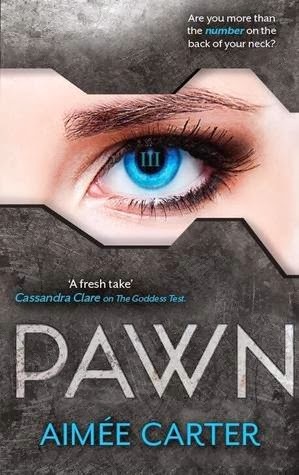 If you're looking for your first dystopian read, then Pawn is also a great starting point and will set a huge bar that so many can't beat. If you're a fan of Aimée's other novels and love her writing style, then you'll definitely want this one on your shelf!